One of the most important masters in modern jewellery design, Pierre Sterlé was an originative designer and a true visionary. He broke new ground with his unique and elegant designs, earning himself the title of 'couturier of jewellery'. Although he could not sketch, he conveyed his ideas to a team of designers such as Jacques Desnoues and Yves Poussielgues, who faithfully brought them to life. He was inspired by nature - flowers, birds, leaves, feathers, arrows and bows featured predominantly in his work. His clientele included Parisian literati, high society and royalty. Sterlé was born in 1905 into a banking family. His father died in the First World War and Sterlé was sent to live with his uncle Maynier-Pincon, a jeweller in Paris who owned a shop on rue de Castiglione. It was there that he was introduced to the jewellery profession, learning his skills in his uncle’s workshop. Sterlé demonstrated a prodigious talent. In 1934, at the age of 29, he opened his first salon on rue Sainte Anne in Paris. He also designed and manufactured jewellery for many distinguished jewellery houses such as Chaumet, Boucheron, Ostertag and Puiforcat. Nobel laureate, the writer Colette, became one of his first clients. He was the inventor of a jewellery technique known as fil d’ange or ‘angel wire’, a gold plaiting technique where he crafted gold wire into fine ropes. This allowed him to create fringes of fox-tail chains that became a signature of his style and which he used to great effect, particularly on his bird brooches. He was sometimes playfully nicknamed ‘the torturer of wire’ as he formed metals into previously unseen forms. The rope or chain mail-like effect created a delicate sense of fluidity and movement and which was so unique at that time; made his designs come to life and imbued them with a sense of energy and vitality. The chain was often used to represent the feathers on his bird brooches, fins on fish and stamens of flowers or anywhere he wanted to create a sense of movement in his pieces. Sterlé also enjoyed juxtaposing several textures and shades of gold to create a multi-dimensional piece. Grandiose and asymmetrical forms were also typical of his style. His daring combinations of colour together with precious and semi precious stones were considered unusual and some of Sterlé’s most iconic pieces are his birds with bodies of pearl, coral or other colourful stones. The designs of Sterlé soon travelled far and wide and as his reputation grew he began to accept more individual commissions and by 1939 he was exclusively creating jewellery for private clients. In 1945 he opened a third floor show room on avenue de l’Opera. Here he could better accommodate his clientele, which included prominent collectors of the time such as King Farouk of Egypt who commissioned a remodelling of the crown jewels for his wife; the Maharani of Baroda, and President Vargas of Brazil. His makers mark has the facade of the Opera on it. Sterlé’s success carried on into the 1950s where his designs captured the luxurious spirit of the era. Jewellery in particular of this era had a sense of movement and lightness and often centred around nature inspired themes. Gold was worked into cloth-like patterns by twisting and weaving. Parures - matching sets of three or more jewellery items, came back into fashion and he created the most beautiful parures and demi-parures. A Citrine, Diamond and Gold Demi-Parure, Pierre Sterlé. 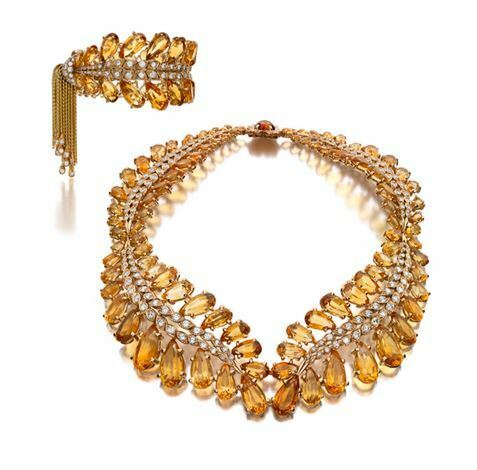 Comprising a necklace and bracelet, the graduated necklace designed as a wreath of leaves set with pear-shaped citrines, the spines set with single-cut and round diamonds, the bracelet of similar design enhanced by a gold link tassel accented by round diamonds at the terminals; mounted in 18 karat yellow gold, with French assay marks. His diamond pieces are supremely elegant and graceful. 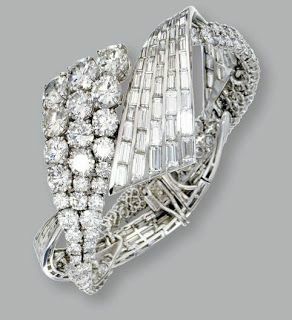 He favoured using the sparkle of brilliant cut diamonds together with clean baguette cuts in the same piece to create contrast. Even in pieces with no movement the designs shows a sense of fluidity. He won the DeBeers Diamond Award three years in a row from 1953-1955. Unfortunately due to a series of misfortunes, and an unsuccessful attempt to diversify into perfume, Sterlé was forced to sell many of his designs to Chaumet and Montreaux (New York). He managed to recover and exhibited a successful display at the 1966 Paris Biennale where his jewellery caused a sensation. Previously Sterlé had been against opening a retail store but inspired by the success of the Paris show, he did open a boutique in 1969 on rue Saint-Honore. The demands and cost the store proved too heavy and in 1976, he declared bankruptcy. Sterlé became a technical advisor for Chaumet and they bought his remaining unsold stock. Some of his jewellery from this period is also signed by Chaumet but still have Sterlé’s distinct style and design. 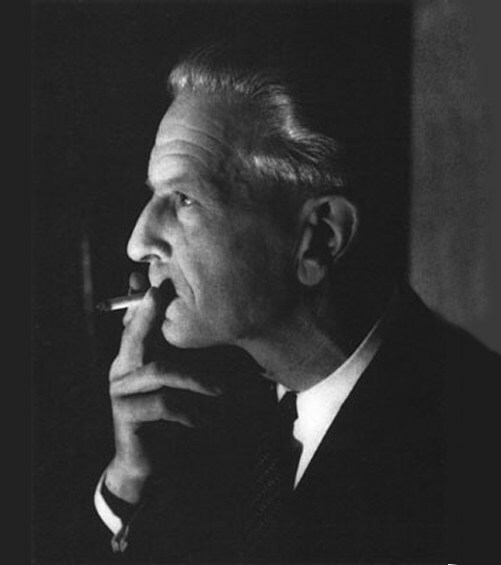 Sterlé worked for Chaumet until his death in 1978.